First of all you need to know that Belgrade is capital of Serbia, country in Europe. Belgrade is a biggest city in Central Serbia. To be precise, Belgrade is located 44.80 latitude and 20.47 longitude and it is situated at elevation 120 meters above sea level. Belgrade has a population of 1,273,651 making it the biggest city in Central Serbia. It operates on the CEST time zone. Translated on Serbian, Belgrade means white city. Belgrade has taken many forms since the beginnings of its settlement between 50,000 and 20,000 years ago. During the long history and it’s position (on confluence of Sava and Danube rivers which was the point where Western and Oriental Europe meet) Belgrade has been fought over in 115 wars and razed to the ground 44 times. Even Attila the Hun made his way to Belgrade as well. Celts, Roman, Ottoman and Austro-Hungarian Empires left their marks here as well. After the WWII, many people across the world know this part of Balkan’s as Yugoslavia – a strong, communist country of past times. Our country is traditionally Christian, and main religion in Serbia is Eastern Orthodox. Approximately 85 percent of the population is Serbian Orthodox. Eastern Orthodox theology is based on the Nicene Creed, and the church teaches that it is the One, Holy, Catholic and Apostolic church established by Jesus Christ in his Great Commission, and that its bishops are the successors of Christ’s apostles. 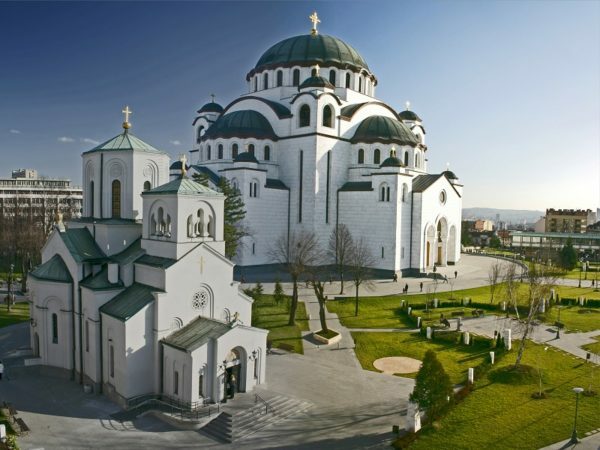 In Belgrade, you will find one of the biggest orthodox temples in the world –Temple of Saint Sava. If you are here for the first time, or for the first time in some Orthodox country, you should definitely pay a visit. Serbian belongs to the group of South Slavic languages. It is spoken mainly in Serbia, Bosnia and Herzegovina, Montenegro, Croatia, and Macedonia by about 9-10 million people. It is official in Serbia, and is the principal language of the Serbs. Serbian contains many loan words from Greek and Turkish, and continues to borrow new words from various languages. It is closely related to and mutually intelligible with Croatian, Bosnian and Montenegrin. Official letters in Serbia are Cyrillic and Latin alphabet. Cyrillic basis of alphabets is used in various languages, especially those of Orthodox Slavic origin, and non-Slavic languages influenced by Russian. Thanks to its original mix of eastern and western culture, we can be only grateful for our great cuisine. Our cuisine is based on meat, but fear not vegetarians, there are plenty of great restaurants in Belgrade for you as well! 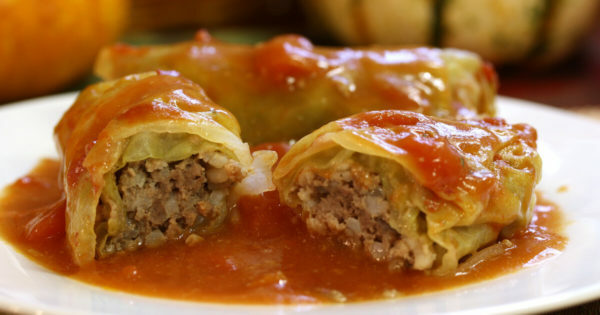 Check the list of top 10 Serbian foods you don’t want to miss! Second is that you need to know how to order drinks. Pivo is beer in Serbian, viski and vodka you can probably recognize, and rakija is our traditional brandy, made from various types of fruit. Dunja or Dunjevača is quince brandy; the one made from pears is called Kruška, while the most traditional version is Sljivovica – that made from plums. Some people (mostly girls/women to be honest) prefer rakija made from or mixed with honey. This one is called Medovača. If you want to fit in and your hosts to love you instantly, try ordering one of these in Serbian. Before drinking, you should say živeli (cheers) and toast like a local! Good to know: Almost in any restaurant and bar you can smoke, but there are still oasis for non smoking visitors as well! The best thing is that in Serbia, the locals are very helpful and incredibly polite. Should you need any assistance all you need to do is to ask., and you will make friends in no time! They will show or guide you what you need to see while you are visiting Belgrade. And for all of you who want a tour guide, there are plenty of them in Belgrade. Like in the biggest cities in Europe, offers a plenty of free (tip-based) walking tours to help you get acquainted with the city. 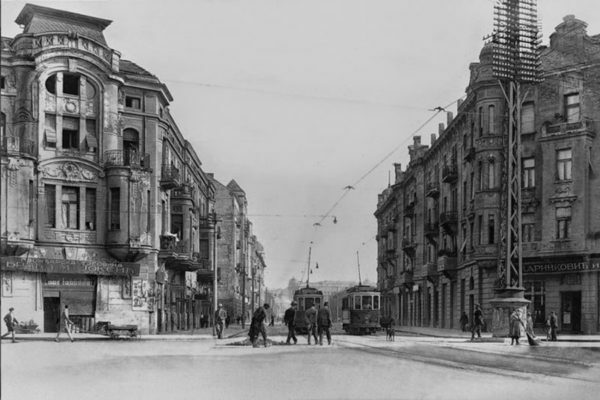 They typically meet in Republic Square and are a great way to orient yourself to the city as well as educate yourself about its turbulent past. Tipping around 5 euros is average if you enjoy the tour. Dinar is the official currency of Serbia. Serbia is among the cheapest countries in Europe. For example, in Belgrade, a coffee might cost you 1-1,50 Euros, a restaurant meal may range from 5-10 Euros. Those are the prices of meals in restaurants, but you can have even cheaper ones (less that 5 Euros) at fast food stands (which are really good). A hostel dorm bed near the city center may cost anywhere from 12-18 Euros. The best part to stay is everything near city center. There are located all the best 5 stars hotels, and other great accommodations as well. Good to know: every visitor needs to register in the police within 48 hours of arriving. For those who are staying in hotels and hostels, their employees will do that instead of you. Maybe Belgrade is the most famous about it’s nightlife. Whenever you decide to visit, you will find plenty of good parties in clubs and bars all over the city.